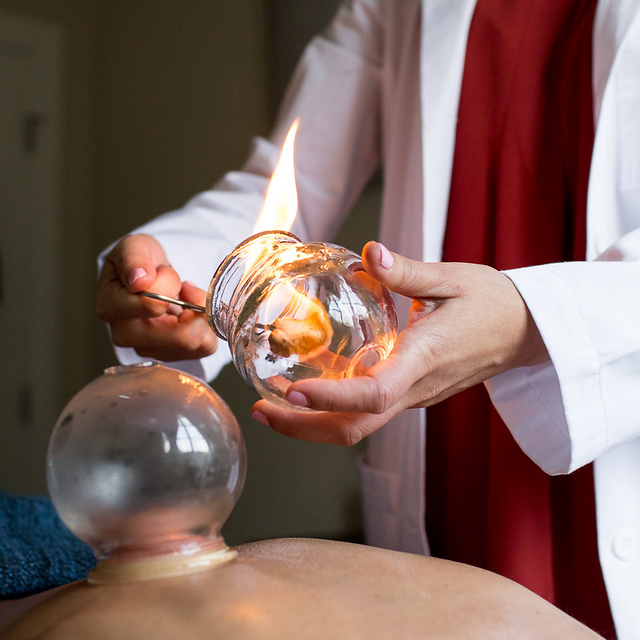 Fire cupping is a method of creating a vacuum inside glass cups that are placed on the patient's skin to dispel stagnation (Qi or blood), thereby improving Qi and blood flow in order to treat a variety disorders, including respiratory diseases and musculoskeletal conditions. Patients and practioners like to describe the treatment as a 'reverse massage,' pulling the musculature away from the body, rather than toward it as in typical forms of massage. 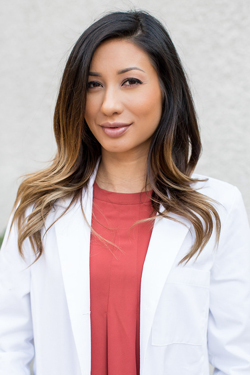 Although cupping can be very effective, Monica comes from a conservative approach that prefers to make a proper diagnosis to see if a patient's overall health can withstand this type of treatment prior to execution. It is typical to experience circular bruising post treatment, as seen on many celebrities as of late.